The word “tipi” comes from the Lakota “place to live” (“Ti” live and “Pi” place). Tipi´s were made out of buffalo leather properly treated (today waterproofed cotton). This leather would then be put over various poles in a cone shape that made a big round tent. Every part of the tipi had a mystic symbolism: the floor represented the mother earth; the creator of life, the tent´s cover symbolized the sky (heavens) each pole of the tipi represented the way to the Great Spirit and the ways between mother native and spirituality. The space outside the tipi was that of the creator. 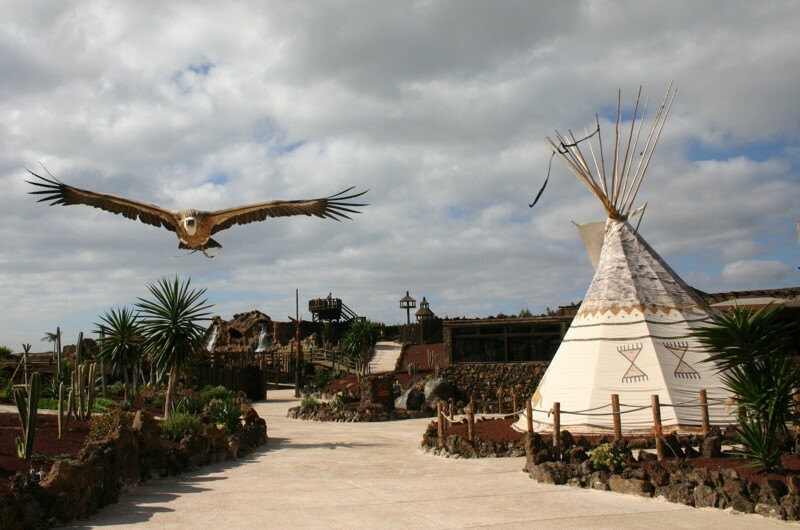 The Tipi´s were located facing the east to wake up with the sun-rise and worship her with offerings and preys the “four winds” (elements of life). Perhaps it was the members of the expedition of Francisco Vasquez de Coronado (1540 – 1542) the first Europeans to see the tipis. However, the archaeological remains prove the existence of tipis centuries before the arrival of Europeans to America. Although it is impossible to pinpoint its origin, it is difficult to think that the first tipi were more like “two sticks holding furs” to protect its user from the sun, rain or wind. Then over time, the nomadic lifestyle of the majority of the tribes spread this form of shelter, little by little, moving towards the appearance known to all. Now the arrival of the Spanish horse (Appaloosa) had a decisive influence on the structure and, in particular, on the size of the tipi. Until that time, the dog was a pet present in all native camps. Its usefulness extended, not only to surveillance against intruders, as a survival use (in extreme conditions) and as a pack leader. But the carrying capacity increased dramatically since the time when the horse appears. Bison hunting on horseback (which the Lakota called “Suka Wakan” Sacred Dog) reduces the risk of accidents and thus, increases the abundance of furs and food; therefore potential reserves grow and facilitate migration and exchange between tribes. The persecution of the herds is less and the final effects result in the size of the tipi from 8/9 feet of diameter to 4/5 feet. It is, perhaps, the brightest moment of the native culture of the prairies, soon before the final collapse. Lakota Tipi: The more vertical structure to encourage the rain slipping quickly. The top is reinforced at the intersection of the beams. The oval base is usually structured around twelve to fifteen long poles. It is considered by many the tipi easier to repair, convenient and multifunctional. The wings of the dome are higher than usual Crow tents. Tipi Crow: The Crow-style tipi is probably the most beautiful from the aesthetic point of view. The size of the wings to help stretch out the smoke blends perfectly with almost conical tipi itself. The inlet opening is the traditional form of capital “A”. Blackfoot or Siksika Tipi: Its design is the most effective in dry and windy weather. Its form is less vertical more “flattened and glued to the floor” to offer less resistance. With more open upper opening in the higher zone, where the sticks are crossed, allowing the rainwater to run downwards. The only drawback (structured with a base twelve to sixteen poles) is normally more difficult to prepare and slower to assemble and disassemble. The joining seams were often only sewn without riveting.